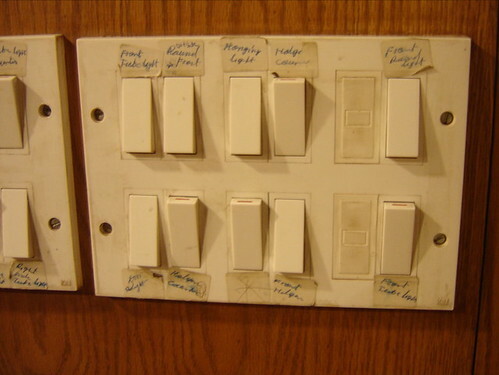 Extremely faithful readers might remember our initial mystification with the light switches in the apartment. Until we slapped Post-It labels on them all, we used trial and error to get lights and fans and outlets going. Judging by a Costa Coffee's light panel we saw in Delhi last week, someone else had the same brilliant idea. Or does everyone in India label their switches all the time, and I'm the only one to think it's interesting? Or even worse, is just about everyone else able to figure out what switch does what without labels? LSBF, sadly, we still have the post-its up in our own apartment, more than a year after I first put them up, and I still have to look at most of them to know what they do. . .